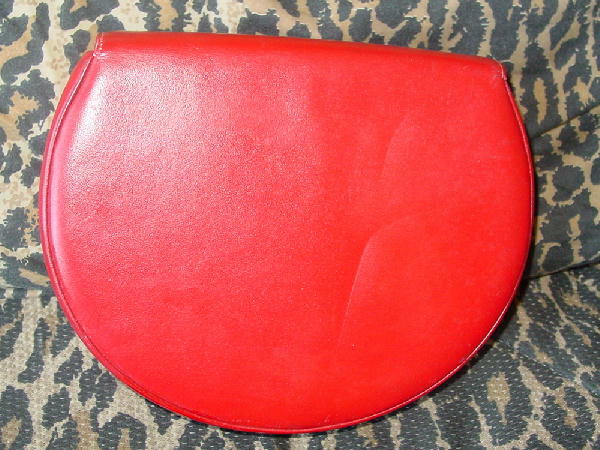 This vintage red faux leather purse has a rounded shape with a modified envelope styling. Under the flap is a magnetic snap closure on the exterior is a large covered button-shaped ornament. It has an approximately 46" by 7/16" shoulder strap. The interior is in a bright grosgrain fabric. 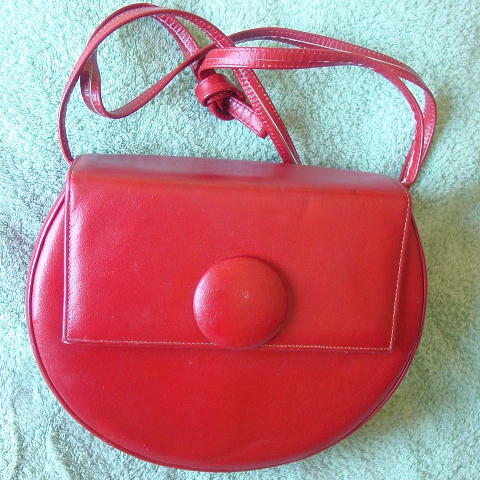 The purse has some scuff marks, some line indentations, and a few spots (on the bottom, front bottom edge, and left corner of lid) where the color is lighter. It has a few dark spots on the top of the lid button, upper back, and front below the flap. 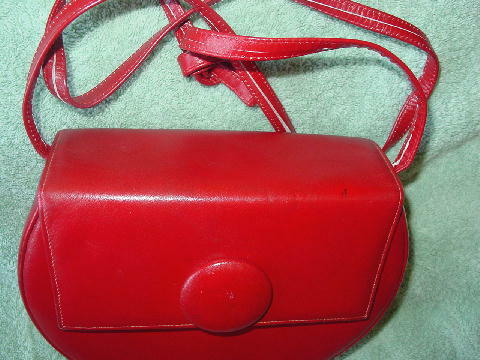 The shoulder strap can be tucked in and the purse carried as a clutch.